Previously, I posted sample videos from the Insta360 Nano 360-degree camera for the iPhone. 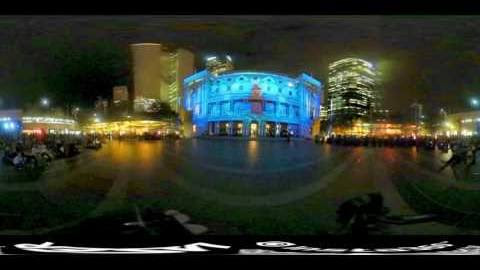 Now here’s a sample video in low light, from Laser, an Insta360 distributor for Australia and New Zealand. Note that when viewing 360-degree videos (or photos) you are effectively looking at only a zoomed-in version of the video, which exaggerates any noise or artifacts. So, when evaluating 360 videos, it would be more fair to compare it to other 360-degree videos rather than conventional videos. For related posts on the Nano, CLICK HERE.